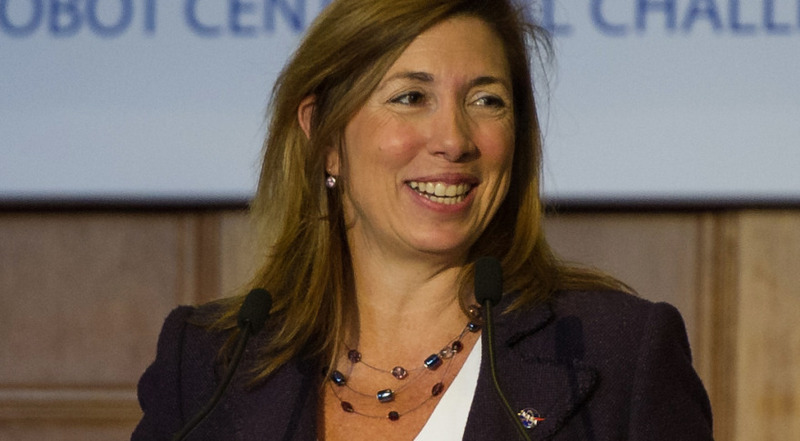 NASA Deputy Administrator Lori Garver on Sept. 6 will take leave of the agency she’s helped run since July 2009. On Sept. 9 she’s due to start a new job: general manager of the Air Line Pilots Association, a labor union representing more than 50,000 commercial pilots in the United States and Canada. Garver spoke with SpaceNews Deputy Editor Brian Berger by telephone Aug. 6, the day NASA announced her departure. The transcript below has been edited for length and readability. A lot of people are asking “Why now?” Is NASA in for some even worse budget news? Are you just fed up with how hard it can be to get things done? I actually do feel like so much of what I set out to do is being accomplished. And while there’s never a good time to leave and it was a tough decision, I’ve got this new opportunity that came at a time when Dave and I really wanted to consider it. It is something that I am excited about doing. I’ve been at NASA a long time. You yourself pointed out [I’m] the fourth longest-serving NASA deputy administrator. These jobs do tend to take their toll and I just couldn’t imagine being able to accomplish so much of what we set out to do four years ago. For me, personally, it started longer ago than that. May of 2007 was my first space policy event with Hillary [Clinton] and during that time and going on to work with Obama and then lead the transition team, all well before being confirmed her, that’s well over four years ago. It’s been a good, rewarding run and I’m absolutely proud of where we are today. I think it’s time for me to take on new challenges. Who will carry the commercial space mantle at NASA after you are gone? I think the administration, Charlie and the leadership here. This is a concept that is not new to anyone. It’s supported and absolutely instilled in a way that it’s not going to be turned back. How much time did you spend on Capitol Hill as deputy? I have never spent a lot of time on the Hill. Charlie really has taken the lead with all of that and working our [congressional oversight] committees. I made a special effort to see freshmen lawmakers both times during new Congresses to see what I could just to get that base of understanding and, hopefully, support for the agency. We’re a unique organization. The more you hear about what we are doing the more you support us. So when I could I would do that. But that was really something that Charlie very much wanted to take the lead on. Are you done with government service? Oh, I don’t have any plans at this time to come back. So this isn’t just farewell, it’s goodbye to the space community? Well, I’ve been in the space community for 30 years and, as I’ve been telling people, I will of course stay in it, who knows in what way. But we know one way. My husband works in it and I plan on being his plus-one at many events and being able to sit in the back and kvetch along with everyone else. Do you have advice for your successor at NASA, assuming President Obama appoints one? I’ve really always been the kind of person that when I am in a job, I’m going to work at it very hard and take advice. I might give advice privately. [Former NASA Deputy Administrator] Shana Dale gave me a lot of very good private advice. But I don’t intend to speculate on the sides. Another role model along those lines is [former NASA Administrator] Dan Goldin when he left. He keeps his views on his successors private, too. But I do believe it is an unbelievably great job and that there’s going to be a lot of great qualified people to do it. I look forward to watching NASA from the sidelines. Goldin never had a deputy. Do you think President Obama will appoint someone to replace you? You asked about the timing. It does involve being able to leave at a time when there really can be a successful second deputy in the Obama administration. There’s every indication that will happen. Why the Air Line Pilots Association? There’s just so many interesting things about the organization and this position. One of my proudest accomplishments as deputy was being able to work these past four years with the International Federation of Professional & Technical Engineers — the union that represents about 8,000 NASA employees. I led the labor-management forum with them. They put out a statement today on my departure. It’s been an aspect of this job I unexpectedly grew to appreciate. But going to a union is a natural thing for me. Aeronautics is one of those absolutely key areas for this nation. It helps deliver a positive balance of trade. It helps drive innovation. Transportation and aviation are something that this nation counts on and that we lead the world in, not unlike NASA. So I really am looking forward to helping them support their membership and making sure the country and Canada — they represent both U.S. and Canadian pilots — are really well supported and that the country recognizes the value that aviation, and commercial aviation specifically, gives to the public. I just got an email from SpaceX Chief Executive Elon Musk saying, “Lori made a real difference to the future of spaceflight. Most people put their career first, so they play politics and pander to the vested interests. But there are some who truly care about humanity’s future in space and will do the right thing in the face of immense opposition. We are fortunate to have several such people in NASA senior leadership and Lori was one of them.” What’s your reaction to such praise? It’s humbling. I do hope that people recognize that I truly do care about those things I championed. It’s true that it’s not always popular, it doesn’t make you popular, but it’s something that’s worth doing. I’ve never shied away from stepping up and being able to defend those things that the administration and NASA set out to do. So I am really proud of it. I thank him. I had not heard that before. Someone else told me today that Lori is credited or blamed, depending on your point of view, for just about everything that’s happened at NASA since 2009. There’s definitely been some blame directed your way. I’m thinking in particular about Sen. David Vitter (R-La. ), who is on the record saying he would personally block your nomination if the Obama administration tried to make you NASA administrator. Did being a lightning rod for criticism of NASA’s direction under Obama take its toll? I’d say I don’t deserve all the credit or all the blame. As with all these things, probably some of each. I really didn’t let statements like Vitter’s get to me. It is in some ways theater in Washington. Certainly hearings are. We recognize that. I know that as a representative of the administration some of this just comes with the territory. The president told us on many occasions, a very broad group of political appointees, ‘We didn’t ask you to do this to lay down. We didn’t ask you to do this to be popular. We asked you to do this because it’s important.’ For me, because I so intensely believe we are on the right path, those kinds of criticisms did not get to me. Will you be a lobbyist in your new job? The elected leadership are the public face and the interface with the Hill. We have a 300-person staff. There are offices both in Herndon, Va. and D.C. My base will be in Herndon. That will be an easier commute from McLean. It’s all becoming clear to you now. I will be working with the leadership on some policy issues where I can help, but it really is more of a classical general management type of position. That’s an aspect of the job here at NASA that I really did love.